Never judge a book by its cover and never judge a game by the cover art. My initial opinions on Kingdom Hearts were 100% wrong. I thought the game would be corny and only kid friendly. My experiences with Kingdom Hearts have grown into a very tumultuous love affair. Podcast: Will They or Won’t They? I was interested in you before we even met. The only way to describe this drama is to start from the beginning. I found myself standing in front of a copy of the Kingdom Hearts trying to imagine the game experience from the box art. A range of thoughts and ideas flew through my head. “Goofy and Donald are very prominent, does this mean the game is aimed to children much younger than I (I was 21 when the game launched in the US)? What would my friends think if I started to explain a very Disney focused game? But the other individuals in the picture scream Square Enix. Who are these other people, and why do they seem so mysterious? The scenery looks like they are in the Disney universe. Is that castle straight out of Sleeping Beauty?” Eventually I found myself talking to a friend about the game. He told me it was awesome and let me borrow his copy of the game. What I found inside the package was a classic Square experience. After a slow start, Kingdom Hearts got a hold of me for the long haul. From the very beginning I loved the idea of multiple worlds crossing paths. A classic story of two boys looking for their lost friend, and two iconic characters looking for their lost king really grabbed my attention. The set pieces were astounding. I never imagined that exploring Neverland, Halloween Town, and Wonderland could feel so right. The feel of each Disney world solidified as the main protagonist of each world aided you in your quest. Fighting Oogie Boogie alongside Jack Skellington was one of the most memorable battles in the game. The Final Fantasy VII crossovers were the icing on the cake. I vividly remember trying to defeat Cloud in the Coliseum. Anyone who played Final Fantasy VII knew that they would be in for a hell of a fight against Cloud. Amid clammy hands I bested Cloud, and the story moved on. To me, the true star of the game was the Keyblade. I loved that each trinket you added to the end of the blade gave it a unique personality reflective of the Disney universe it originated from. The blade was tied tightly to the story, and would play a bigger role as the story progressed to Kingdom Hearts II. After powering through Kingdom Hearts, I quickly moved on to Kingdom Hearts II. 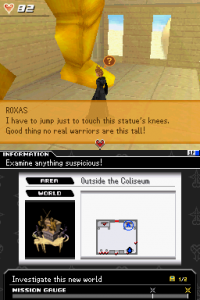 I was a little disappointed that you played as Roxas through during the beginning of the game. This was a major letdown, much like other games that teased a hero from an earlier game only to have you play as someone else. Luckily, the game shifted gears and remained Sora’s story. 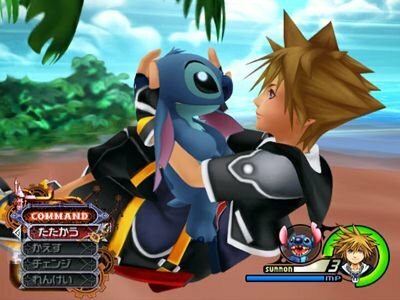 The game made some major changes and added a summon in the form of my favorite Disney character Stitch. Auron from Final Fantasy X also makes an appearance, and the story is just as complex and twisted as ever. I was officially emotionally invested in the series. After seeing a Kingdom Hearts manga at the bookstore, I started considering collecting and reading all of them. I declined the idea of collecting the books because there were missing volumes at the store and hunting down the other volumes seemed like too much work. On a subsequent trip to Epcot Center at Disney World, I discovered that six-inch action figures of Sora, Roxas, Kairi, and Axel existed. To my disappointment, though, the only place you could buy the figures on Disney property is at the Japan portion of Epcot. The shop ended up only having the Axel and Kairi figures. I asked a few employees if they had seen a Sora floating around or if there was any way I could order one but ufortunately the employees could not provide me with any information, and I have never seen another Kingdom Hearts figure on Disney property since. I began to feel that Disney had orphaned their best licensed video game since DuckTales. 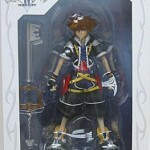 I lost hope of ever finding my Sora action figure. After Disney, I made several trips to Chinatown in Chicago and never found Sora anywhere. I never turned to the internet to look for one. For some reason, I wanted to find him in the most organic and spontaneous way possible. I gave up hope of ever finding my Sora action figure, but refused to buy any of the other characters because I wanted the Keyblade. I searched high and low for you. All was lost until I made an unrelated trip to the Pacific Northwest. While exploring Seattle’s International District, my wife and I went into Uwajimaya Asian Grocery & Gift Markets. I love exploring large Asian grocery & gift markets. These types of stores resemble Urban Outfitters, but are pure Asian culture. While combing Uwajimaya, I did my usual walk around the grocery store to see what crazy foods were offered, and eventually found myself in the bookstore section of Uwajimaya. While wandering this vast store, I noticed a wall full of Asian action figures. I took a look with no expectations. Naturally there were plenty of Full Metal Alchemist figures. Then I noticed one row that was all Kingdom Hearts figures! I sifted through the figures and soon enough I was holding in my hands Sora, the lost figure. It was like the end of a bad drama, when two lost souls reunite and live happily ever after, but Kingdom Hearts has done nothing but shatter my heart since that day. THIS is a Kingdom Hearts game? I have been waiting almost six long years for Kingdom Hearts III. 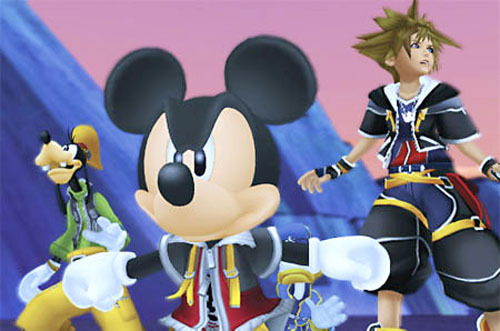 There have been three titles released in the series since Kingdom Hearts II, all of which have have appeared on handheld gaming consoles. This year will see the release of yet another handheld title called Kingdom Hearts 3D: Dream Drop Distance for the Nintendo 3DS. I hate nothing more than directional prequels in a series. The amount of time spent making all of these titles could have been spent to deliver Kingdom Hearts III to us. I can appreciate that events did occur between each title, but I really don’t care. Let’s finish the stories with the characters I embraced and loved before creating several unnecessary entries. I fully expected the series to come home to consoles during this generation, but it is beginning to look like that will not happen. Due to how late the release of Kingdom Hearts II came in the life cycle of Playstation 2, I got really excited at the prospects of a next-gen Kingdom Hearts. I initially planned on buying a Playstation 3 assuming that Kingdom Hearts III would release during the current console cycle. Now, I talk about the series with a very empty feeling. I have almost forgotten about the games altogether. All of the hand held releases make me really question who Square Enix considers the audience of the game. The original Kingdom Hearts was released in 2002; I highly doubt that the base audience of the series are considered the base audience of the handheld market. I would argue that the initial fans of the game are not likely to be reached with a mobile version of the game. I begin to worry that the longer we go without a console entry, the more irrelevant the series will become. 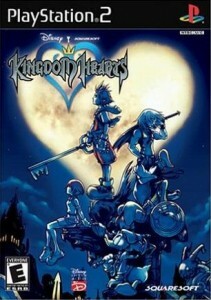 I have played Kingdom Hearts: 358/2 Days, and it just isn’t the same experience that made me love the series. The pending release of an HD version of Final Fantasy X makes me hopeful that we may see at least an HD version of Kingdom Hearts just to help rekindle our flame. Then again, fans want a Final Fantasy VII remake, and it doesn’t seem like that will happen in the near future either. Even King Mickey is pissed at Square Enix. I love, or at least loved Kingdom Hearts; now the series has just become a fading memory. We had a lot of great times together. Swimming with Ariel, hanging out in the world of Tron, and an epic boss battle with Maleficent are some of my favorite gaming memories. I now have a hard time remembering our time together. All I ask is that Kingdom Hearts stops leading me on. Either give me the console release that fans want, or stop teasing me with numerous handheld titles. It’s the least you can do. You’re awful at making up names. See Tanto i can troll too. And your English would be right if you signed off your comment as….